Who's selling you your coffee-to-go and your hot dogs on the street corner? It might be a veteran with a special vending permit. CIVIC CENTER — As the city prepares to launch a new Department of Veterans Services, signaling its commitment to the housing, employment and care of the 225,000 vets living in New York, some advocates are drawing attention to the needs of the more than 1,700 veterans working as vendors. "If we’re saying we want our city to do better by veterans, they must do better on this issue," said Kristen Rouse, president of the NYC Veterans Alliance, one of several groups pressing for preferential treatment for vets as the City Council considers the amendment of street vending laws. Speaker Melissa Mark-Viverito has expressed support for either lifting the city's decades-old cap on street vending licenses and permits, or eliminating it entirely. Critics of the caps, including vendors marching on Times Square last Wednesday, say that restricting legal vending unjustly criminalizes the honest businesses of those who aren't allotted a permit and hamstrings the contributions they could be making to the local economy. NYPD Commissioner Bill Bratton told the media in September that he'd like to see the City Council work with agencies to "bring some rhyme and reason to what right now is an extraordinarily confusing and sometimes conflicting [set of] rules and regulations." 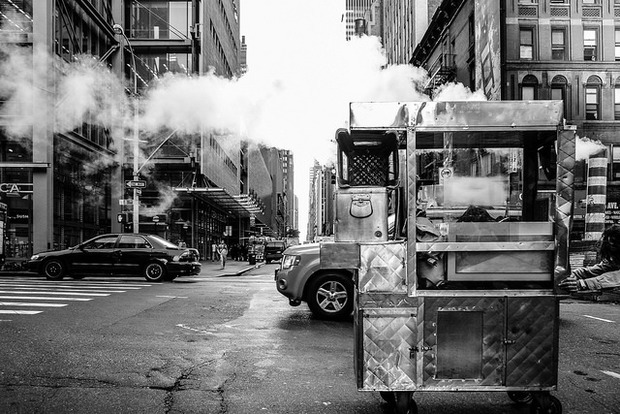 The laws that govern street vending are difficult to navigate and three city agencies — the Departments of Consumer Affairs, Health and Parks and Recreation — grant different kinds of vending licenses and permits. Critics of the city's current system also say that the caps on the city's food vending permits are driving a black market that exploits those who can least afford it. New Yorkers early to claim one of the few thousand permits available — which cost no more than $200 for a renewal every two years — sometimes lease them to would-be vendors for up to $25,000 a year, in violation of the law. Some cart owners who say they can't even afford to rent a permit make the choice to operate their businesses without them, a decision that puts them at risk of fines as steep as $1000, arrest and seizure of their property. The scarcity of permits also impacts permit-holding veterans, some of whom are paid minimum wage by vendors who lack a permit in a a so-called "rent a vet" scheme to evade city inspectors, which the Department of Investigation looked into last year. Rouse and her fellow advocates say that if and when the city amends vending laws to squelch the black market, it should preserve veterans' preferential status among their fellow vendors. There are 1,721 veterans with general vending licenses in the city, making up somewhere between 5 and 10 percent of the total vendors working in New York, most of whom are immigrants, according to Sean Basinski, director of the Street Vendor Project (SVP), the organization that arranged the demonstration last week. "The country that we served ... gave us an opportunity to come out and vend and to provide for our families," said Dondi McKellar, chairman of the SVP's veteran committee and a disabled navy vet who started selling bubble blowers on the street in 2004. "Yes, let’s share with other people — that’s what makes this country great, because we are a melting pot — but let’s not see the originators fall to the wayside," McKellar said. McKellar and members of another advocacy group he belongs to, Veterans 4 Veterans, have collected roughly 300 voter signatures for a petition asking city lawmakers to honor and protect what they consider the rights of veteran vendors. Last week, Veterans 4 Veterans and the NYC Veterans Alliance met with the chair of the City Council's committee on veterans, Councilman Eric Ulrich, to discuss their reform proposals. The groups trace veterans' vending rights back to the 19th century. In 1894, the New York State Legislature granted Civil War veterans with physical disabilities the right — and the free licenses — to hawk goods on city streets where peddling was otherwise limited. Nearly a century later, in 1979, the New York City Council capped the number of general merchandise vending licenses issued to non-veterans by the Department of Consumer Affairs at 853. In 1983, the council restricted the number of mobile food unit vending permits, which are authorized by the Department of Health and Mental Hygiene and free for veterans, to 3,100 for year-round carts and trucks and 1,000 for seasonal carts. In 2013, the DOH adopted a rule that gave any veteran with a service-related disability the right to apply for a mobile food permit giving them permission to sell food from a cart on sidewalks around city parks, no waiting list required. Vending appeals to veterans as a livelihood because they don't need to present an employer with a traditional resume and "they can be their own boss," said Joe Bello, a veteran who founded the advocacy organization NY MetroVets. Veterans with health issues can make their hospital appointments a priority when they're self-employed, he said. "A lot of these veterans look at [vending] as a stepping stone. 'I have a cart and tomorrow I may have a small business, I may have a little space,' and it grows,” Bello said. But vending as a vocation appeals to a cross-section of New Yorkers much broader than just veterans, and their interests aren't the only ones represented by an advocacy group that's pushed hardest for vendor rights. 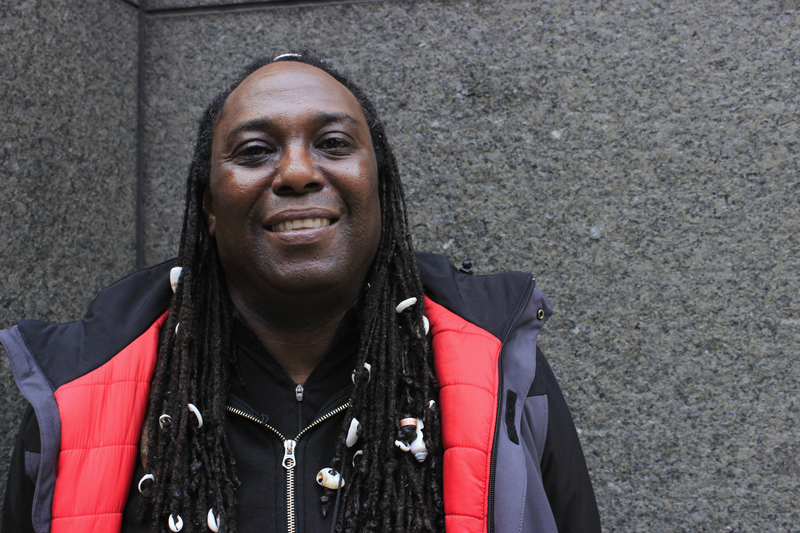 "At the Street Vendor Project, we organize vendors from all backgrounds — race, class, ethnic, veteran status, immigration, borough, etc.," SVP director Basinski wrote in an email to DNAinfo. "Not every group will be affected equally in each campaign," he wrote, referring to the "Lift the Caps" campaign and citing the SVP's successful push to lower the maximum fine for minor violations from $1,000 to $500 as an earlier campaign that benefited veterans with permits more than non-native vendors operating their carts without them. And one group's "needs do not take priority over the needs of the majority of the greater community," he said. In the case of the quest to lift the cap on general vending licenses and food vending permits, the needs of veterans and other vendors may conflict: If the city authorizes more vendors from all backgrounds equitably, veterans could be pushed off the streets, their advocates say. "If they lift cap on general vending licenses ... then the streets are going to get flooded with tables," said Richard Rivera, a disabled Marine Corps veteran who operated a food cart outside the Plaza Hotel until he says a competitor muscled him off the block. "Before you know it, how many will be in the Midtown area?” Rivera said of the zone that is currently reserved for about 100 veterans with service-related disabilities and general vending licenses. McKellar, Veterans 4 Veterans and the NYC Veterans Alliance are pushing for an administrative board — a street vendor review panel — that includes both disabled and non-disabled veterans "to ensure that veteran concerns are appropriately raised and addressed by city officials," they said in a statement last Thursday. The advocates also want to secure for disabled veterans with mobile food permits the right to sell food citywide — not just on sidewalks around parks — and sell it from trucks as well as carts.